Our FOSS 5th grade unit has us testing variables, however sometimes the kids have a hard time connecting to why they are making lifeboats, pendulums, or flippers. In an older post, I shared how I introduced the lesson...here is how I wrap it up. Each group tests for length of stick and angles. We figure out what angle gives the best distance and the length of stick that gives us the height we need. 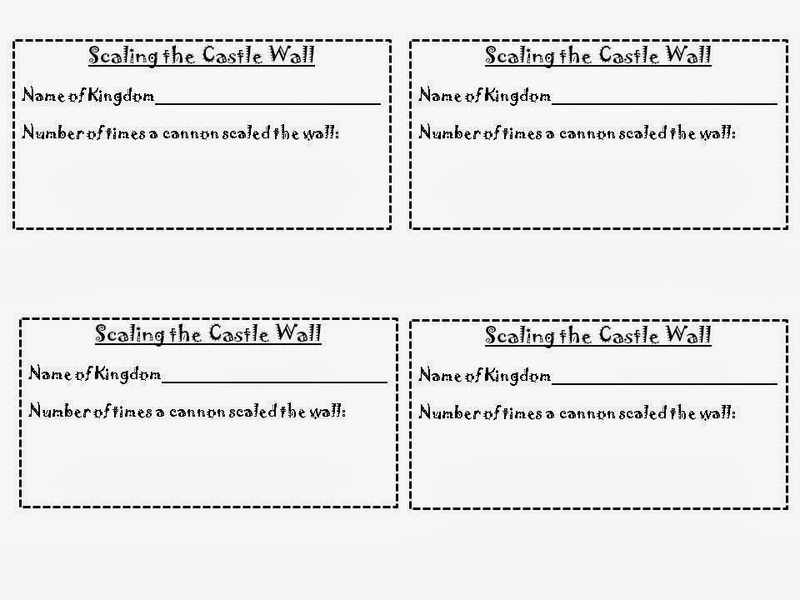 We then give each kingdom a chance to scale the wall of the there castles in the room. The can change the length of stick or the angle or both now to use what they learned in their controlled experiment. 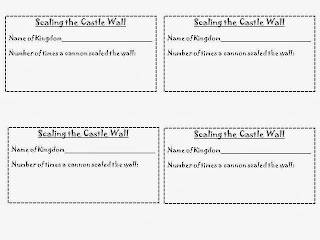 We give them a chart to tally out of three tries how many times they scaled the wall of a castle. The winning team gets Burger King Crowns and are rulers of the room. We discuss how kingdoms were won and lost due to battles such as this. It makes it make sense as to how it relates to history. Here is a group trying to scale the castle walls. Who will be rulers of the kingdom?